The Bhartiya City team is comprised of dedicated professionals who know every inch of this city just as well as the unique role they play within it. Skilled and knowledgeable with countless years of experience in each of their individual areas, our team are committed to creating a smart city that’s a cut above the rest, capable of delivering a new way of life in India. It took six years for our team of architects and master planners to design this city. Now each and every member of our executive team is ready to drive Bhartiya City into the next chapter as it comes to life. Meet the team behind the City of Joy. 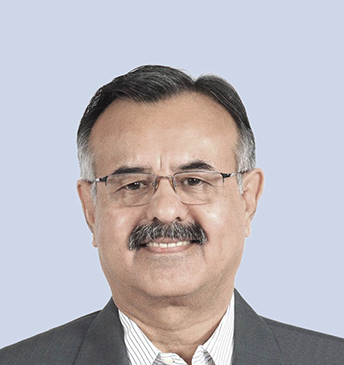 Snehdeep founded the Bhartiya Group in 1987. Over the past 25 years he has charted a unique and distinguished career, reflected in the rise of the company. As the largest manufacturer and exporter of leather fashion goods for over ten years, the group has over sixty clients including global majors such as Hugo Boss, Armani, Zara and Mango. Led by the listed Bhartiya International Ltd, the group has an unblemished history of profits and dividends over two decades. The group’s operations span across the Asian, European and American continents, with design studios in Italy and manufacturing infrastructure in China. Snehdeep holds a Masters in Economics from Punjab University. Arjun is a Director on the board of various Bhartiya Group companies. An entrepreneur by trait, he has over twelve years of professional experience in infrastructure and real estate development. Arjun played a key role in founding the real estate business of the Bhartiya Group and he now drives the execution of Bhartiya City and all joint venture activities with the support of a highly experienced team of professionals. Under his leadership, Nikoo Homes became the fastest selling residential homes brand in Bengaluru after its launch in November 2012. He holds the Master Plan for Bhartiya City, an area of over 17 million square feet to be constructed and delivered as per the development plan. Township developments are on the rise and Arjun plans to deliver the better infrastructure and planning that people are looking for. Sanjay has more than 30 years of experience in all the verticals and facets of Finance and strategy both in the domestic and international arena. In his long career he has played key role in M&A across geographies and handled the entire gamut of Finance function including all kinds of funding, Treasury, Taxation (Direct, Indirect, International), Accounting, Financial Planning & Analysis, Secretarial, Legal, Audits (Internal & Statutory), Investor Relations, business turnarounds etc. One of his key expertise areas is also into Corporate governance and systems and processes implementation. His contribution in Strategic fund Raising, relationships with Analyst and Fund Managers, Investment Bankers, Investor community has given him an edge within the finance community. He has effectively managed big finance teams, cross functional projects and possesses extensive experience of working with the Boards. Sanjay who is a Chartered Accountant and Cost & Work Accountant, comes to us from Suzlon Energy Ltd. where he was the Chief Financial Officer. 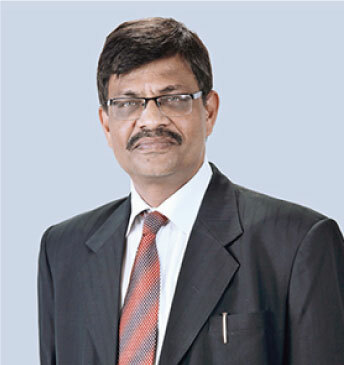 He started his career with Ballarpur Industries Ltd. after which he served in various financial leadership roles at Xerox Ltd, Bharti Airtel Ltd., Emaar MGF Ltd., Tata Communications etc. Immediately before joining Suzlon Energy Ltd., Sanjay was the Group CFO at Flipkart Ltd.
At Bhartiya, he leads key business assignments and projects, and at the same time will be responsible for Corporate Finance and funding of all kinds, treasury, Accounts and management reporting, strengthening internal controls, managing investor relations, Financial Planning and Analysis, business transformation, exploring new opportunities, strategic tie ups and capital market initiatives. Alok heads the Human Resources function at group level and is responsible for building the organisation with distinctive capabilities. Before joining Bhartiya, he worked with Bharti Airtel in leadership roles, the last being CHRO of the Network Services Group for India and South Asia. Prior to this, he spent many years in a number of HR Management roles at big name companies such as Intex Technologies, Luxor Parker, Glaxo and GoodlassNerolac Paints. Alok holds a BBL from Kanpur University, as well as a Postgraduate diploma in Personnel Management and Industrial Relations. He has also completed an Advanced Leadership Programme from INSEAD, Singapore and an Advanced HR Programme at the Ross School of Business, Michigan University. 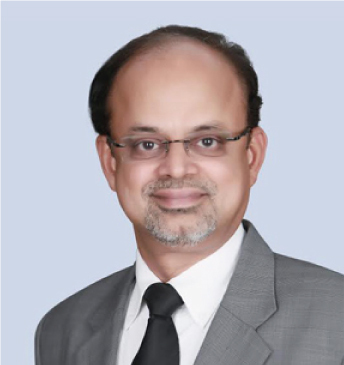 G Raghavan is a seasoned professional with over 30 years of extensive experience in sales, marketing, product management, business development and general management. 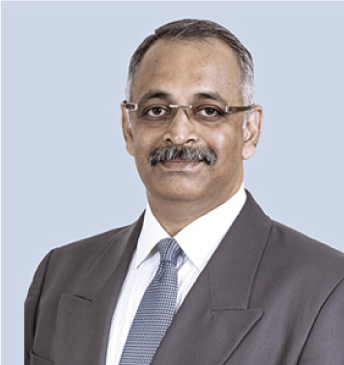 He has held the positions of Managing Director and Chief Executive at several globally reputed organisations such as Carrier, Ingram Micro and NIIT. He is responsible for all operations and strategic matters of Bhartiya Urban, including the current upcoming Bhartiya City. He has also spent time as a member of both South Africa’s E-skills Council and as Consultant to the Government of Wuxi New District, China. 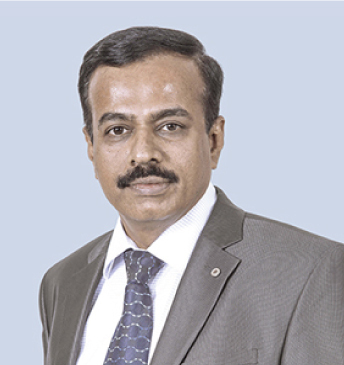 He holds an MBA from IIM-Ahmedabad and a BSc in Agriculture from Tamil Nadu Agricultural University in Coimbatore. Jaideep is a senior hospitality professional with over fifteen years of experience across corporates like Mantri, Phoenix Group & Radisson White Sands Resort and the Oberoi chain. 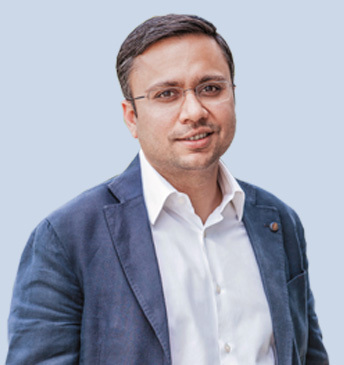 He has both incredible knowledge and in-depth experience in launching new projects just like Bhartiya City and is well positioned to build and expand Bhartiya’s developing revenue channels. His areas of expertise extend to adopting business led strategies for sales and marketing, retail leasing, commercial negotiations, building strong networks of specialised consultants, maintaining high standards of quality service and profit centre management. Jaideep holds a degree in Hotel Management from the Institute of Hotel Management, Ahmedabad. He also has a postgraduate diploma in Hotel Management & Operations from the Oberoi School of Hotel Management. Shama Sunder has over twenty eight years of financial strategy and planning experience, four of which were spent as Chief Financial Officer at one of the largest developers in Bangalore. Prior to Bhartiya City, he worked with Corporation Bank, HDFC Bank and ING Vyasa Bank where he handled various commercial banking roles. Shama Sunder holds an MBA from Bangalore University.